As heavily suggested by the title, this post is about pumpkins. More specifically, pumpkin-flavored baked goods! As we all know, eating pumpkin-flavored everything in the fall is extremely trendy, HOWEVER, my favorite pumpkin eats are the ones that I make myself.Perhaps you have already made these items yourself, but if not, here are some of the things that I like to bake in the fall along with the recipes I have used. 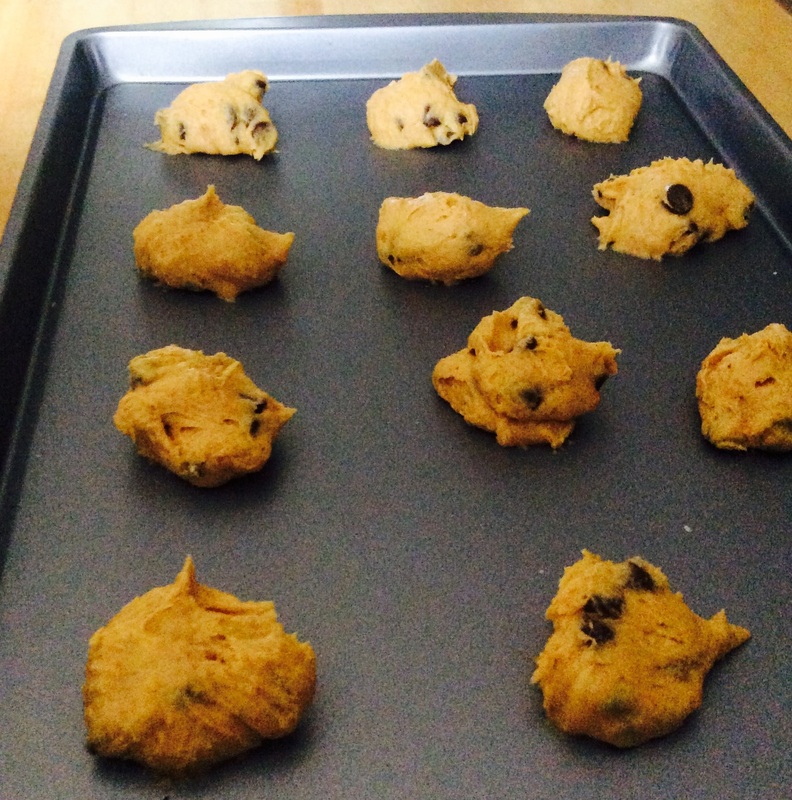 The first has quickly become one of my all-time favorites: Chocolate chip pumpkin cookies. Why do I like them so much? Several reasons. First and foremost, they are delicious. 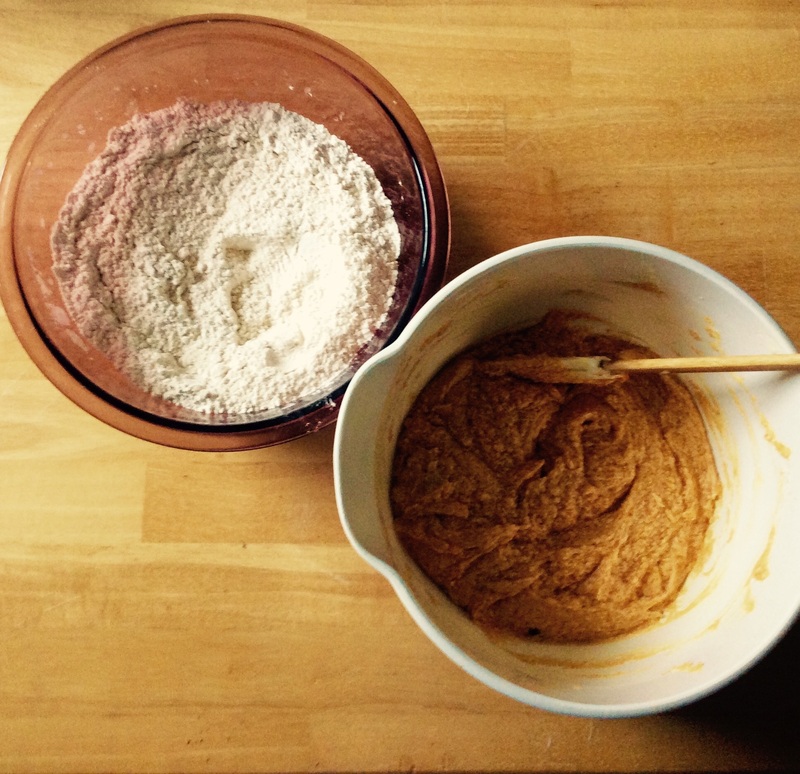 Second, the pumpkin gives the cookie a soft texture and, unlike many other cookies, they stay fresh for up to a week. Third, due to the large amount of pumpkin used in the recipe they are actually more economically sensible to make than average chocolate chip cookies. In other words, you get more cookies for what you pay for. I used this recipe minus the cloves. I have made these cookies many times and can vouch that they are delicious even if you omit this ingredient. They are, however, best when milk chocolate chips are used, not your typical semi-sweet. The second recipe I am focusing on today is that of a pumpkin roll. 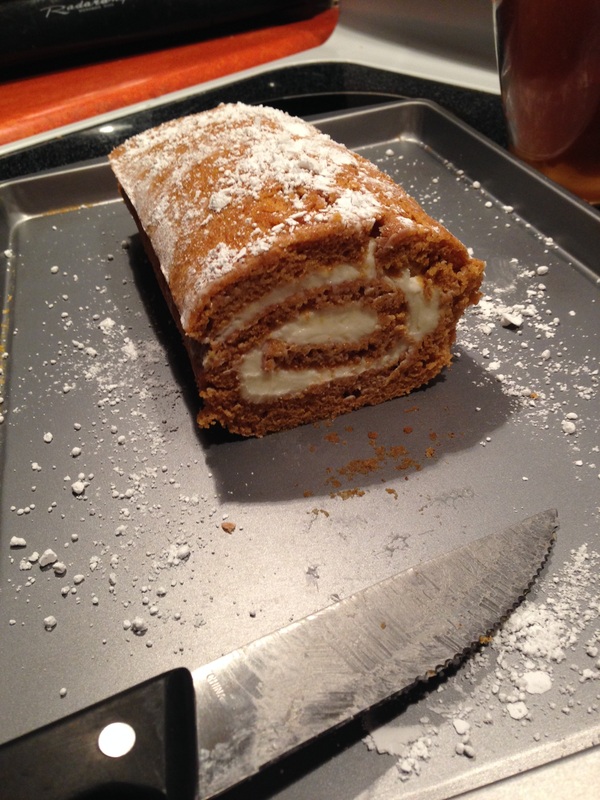 I had neither tasted nor made a pumpkin roll until very recently, but was pleased with how simple it was to complete. Aside from being delicious, I also like the aesthetic of this dessert. No matter how you spin it, people are impressed when they see a cake (something that is typically brittle and breakable) rolled up in a swiss-roll fashion. So if you are looking for a seasonal dessert to bring to a party, I would recommend this one! So this weekend if you are feeling creative (or perhaps inspired by “Halloween Wars” on Food Network) perhaps try your hand at one of these recipes. I know that your friends, family and whoever you live with will be happy you did!